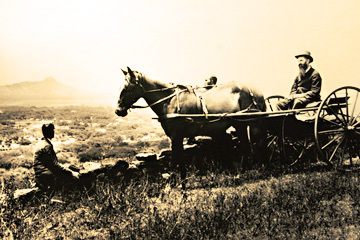 Brother Bertram's photographs from the late 1800s capture rare images of life in Hawaii. 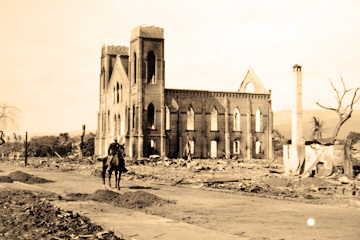 Above, Kaumakapili Church after the Chinatown fires. For more than 120 years, some wonderful photographs of the Hawaiian Kingdom, its people, places and historic events, have been out of the public view in Hawaii. That's about 120 years too long. These photos were taken by German-born Brother Bertram Gabriel Bellinghausen, a larger-than-life figure at the turn of the century. With seven other Marianist brothers, he stepped from the gangplank of the S.S. Mariposa onto Hawaiian soil on Sept. 3, 1883. 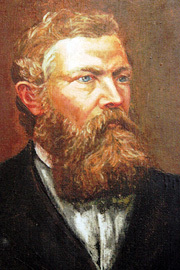 The Marianists had been called to the Islands as educators, and Brother Bertram took up his duties as the first director of Saint Louis College the very next day. 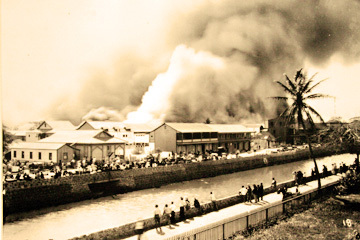 The campus of the school, forerunner to Saint Louis School and Chaminade University, was on College Walk, across Nuuanu Stream from downtown Honolulu's River Street. Its director was devoted to his faith, his students and, fortunately for us, the art of photography. Using a large, bulky camera that held glass photographic plates (used as negatives before photographic film), Brother Bertram chronicled the days when his friend King Kalakaua occupied the newly built Iolani Palace and the school's band led the funeral processions of Princess Likelike, Princess Kaiulani and the king himself. "A Retrospective Photo Exhibit of the Hawaiian Kingdom on the Threshold of Annexation"
The good brother chose subjects that were unlike those of the major photographers of his day. His mission was spiritual and educational, so his work provides a different view of turn-of-the-century Hawaii than the work of commercial photographers such as Ray Jerome Baker. He had a special place in his heart for the maka ainana, the common people who posed for him with dignity and affection, and for the aina, the land he loved and pictured, from Oahu's bustling harbor to the slopes of the Big Island's volcanoes. A note about the brother's glass plates is timely: In 1983, when the Marianists celebrated their centennial in Hawaii, I was invited to research and write about Brother Bertram's photos. About 800 glass plates and his handwritten journals were stored in the Marianist Archives on the Saint Louis-Chaminade campus. Some of the materials have been moved to the State Archives, but most are now archived in Dayton, Ohio. Dr. Michael Fassiotto, Chaminade's 50th anniversary co-chair, reports that the university's development plans include a proper archives in the new library building, so the plates may be returned one day. The exhibit is a small step in those plans. Chinatown burns as spectators line the river. The photos are nicely presented and their subjects well-chosen. Details in most of these prints are as clear as if the photographer had snapped the black-and-white pictures using a modern camera. Each photo brings its subjects to life with great skill, and Brother Bertram's experiments with his camera (such as double exposures and photo montages) further demonstrate his artistry. What the exhibit includes is satisfying, but there is an unfortunate omission. Although information about the photos' history is included, those unfamiliar with them still had many questions about individual pictures. Travelers enjoy the view of Diamond Head from Tantalus. Even a caption beneath the pictures or in the exhibit program might have kept viewers from wondering aloud, "Who are these people?" "Was this taken on Maui?" "What church is this, left standing after the Chinatown fire?" "When were these grass houses photographed?" Some viewers wondered if an intriguing lantern-slide photo of a large alligator with a small boy showed a real beast or a stuffed one, and the opportunity was lost to tell about Arabella, the Saint Louis students' pet on the old campus. Some asked why the handsomely uniformed band members looked too young to be part of the Royal Hawaiian Band, and a note might have informed them about the historic school band, formed in 1884 by Brother Francis Marx, the bearded man sitting with his students in the photo. These missed opportunities will not prevent viewers from enjoying the exhibit, however. Until Nov. 18, these treasures will be shared with all, not just with archivists and historians documenting a part of Hawaii captured only by Brother Bertram's camera. 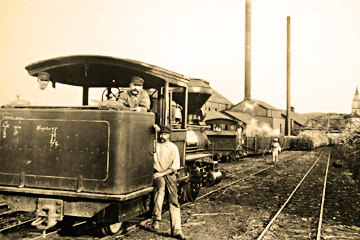 The Wailuku Sugar Plantation train.